MIAMI, Florida – November, 2017 – After 18 years of operation at its waterfront location, Sonia’s Seafood, the beloved dining institution on the banks of West Miami’s canals, was threatened with immediate closure after a company who purchased the property demanded that the restaurant shutter its doors and vacate the premises with 15 days’ notice. The restaurant retained Coral Gables based business and real estate litigation firm, FORS | Attorneys at Law on the eve of eviction. Buried in the original version of Sonia’s lease, which the restaurant inherited from a prior tenant of the property in the 1990’s, was an option to purchase the property for a specified sum. Initially, it appeared the lease containing the option had expired years earlier in 2011. However, it was discovered that shortly before its expiration, the restaurant executed an addendum with its former landlord intending to extend the lease through 2018. The new owners claimed the Addendum did not effectively extend the lease because it contained various conditions that the tenant allegedly failed to satisfy. When the new owners refused to honor the lease and purchase option, FORS | Attorneys at Law filed suit seeking performance of the purchase option, which was met with a counterclaim by the new owners attempting to eject the restaurant from the premises. Facing multiple legally-significant events during the lifetime of the lease, any one of which could have eliminated the option to purchase by operation of law or waiver, FORS built a case employing the most fundamental principles of contract law and leasehold rights to conclusively establish that the restaurant had effectively renewed its original lease and the purchase option contained therein was enforceable. In a nine-page Summary Final Judgment Order, Judge Samantha Ruiz Cohen ruled in favor of the restaurant on all grounds and ordered the new owners to sell the property to the restaurant within 30 days for the price agreed upon in the original lease, ensuring a permanent home for the beloved restaurant for years to come. The time to appeal the judgment has expired and the defendant in the case has already completed the closing of the sale of the property to FORS’ client. FORS | Attorneys at Law focuses its practice on business, commercial, and real estate litigation. 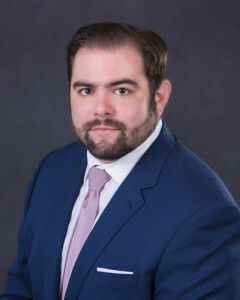 Jorge L. Fors is the managing partner and heads the firm’s litigation practice together with partner, Jorge L. Fors, Jr.